Our fantastic Little Green Thumbs teachers have all picked up their free gardening supplies, and many have started seeds with their excited students. 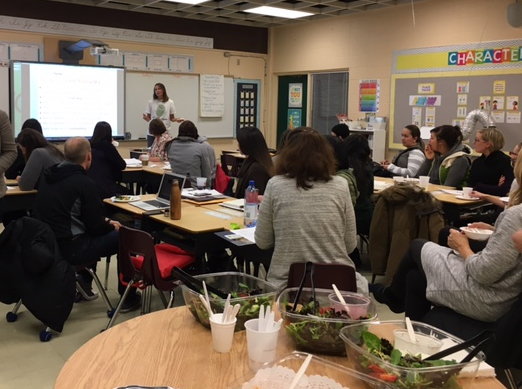 Also, over 25 teachers took advantage of indoor gardening training, learning about safety, garden box setup and growing a variety of crops, such as cucumbers, peppers, tomatoes, pole beans, lettuce, kale, and Swiss Chard. Some great herbs that thrive indoors are basil and lemon balm. The students and teachers will have the dilemma of choice! 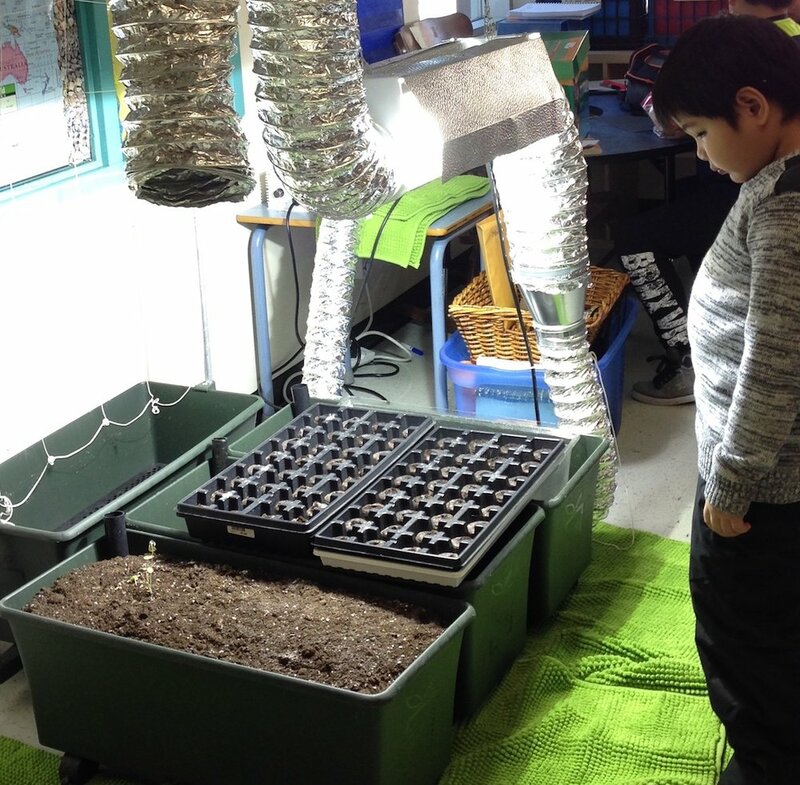 At St. Francis of Assisi School, the students will be experimenting with a container of transplanted strawberry plants. Are the indoor conditions suitable for the berry plants to produce fruit? That and many other questions provide a wealth of inquiry opportunities for our Little Green Thumbs gardeners. We look forward to learning about the gardening adventures of our 56 indoor gardens in the next few months! 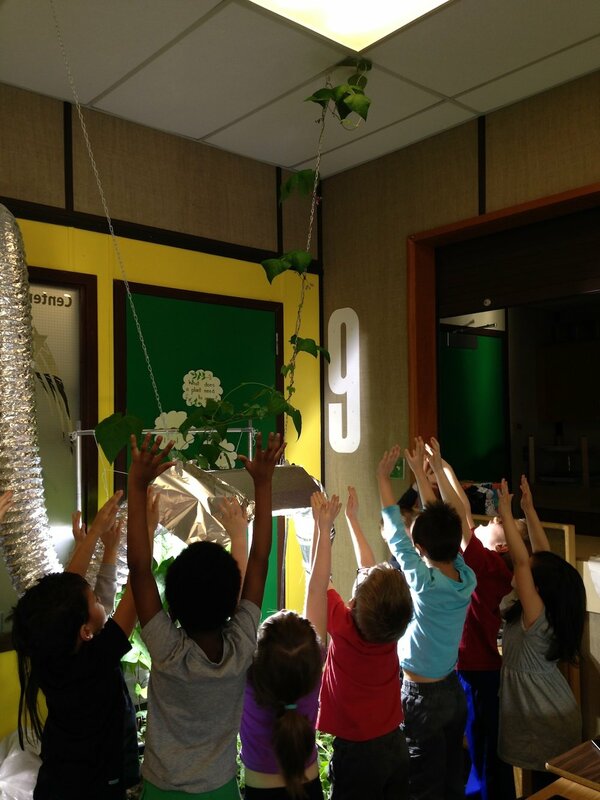 The Grade 1 class at Lymburn School gathered in the science room where the indoor garden is located. Teacher Ms Salyn wheeled each indoor gardening box into the circle of children. The students took a good look at each box to see what might have changed since their last visit to the garden. 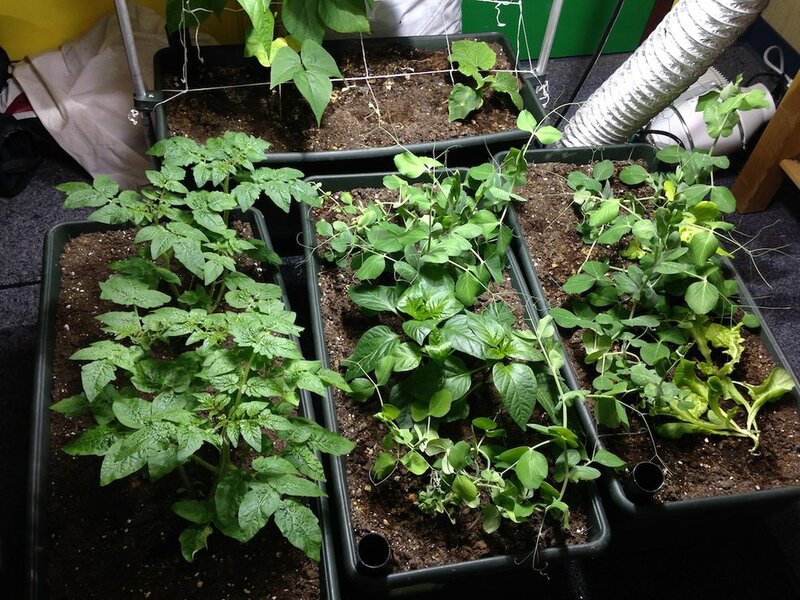 Indoor gardening has wonderful educational benefits for students. 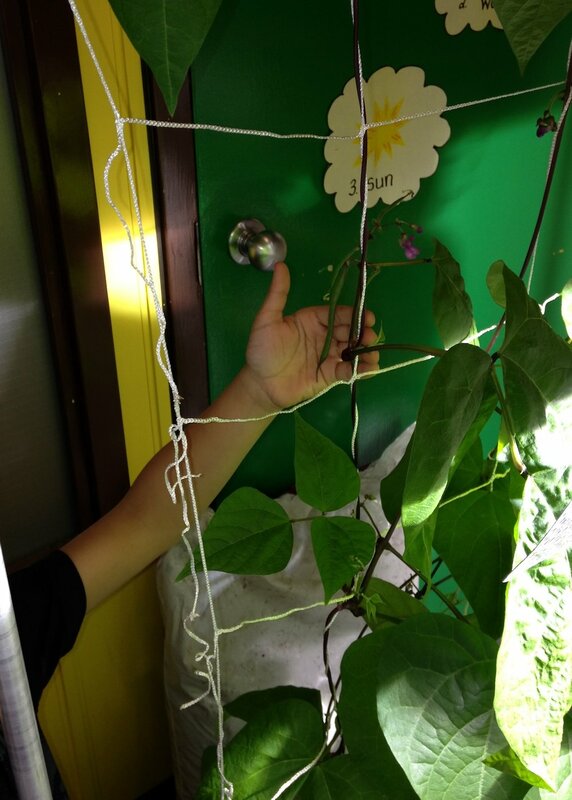 We have fabulous teachers that use the Little Green Thumbs indoor garden to explore topics of nutrition, science, math, language, art and much more. 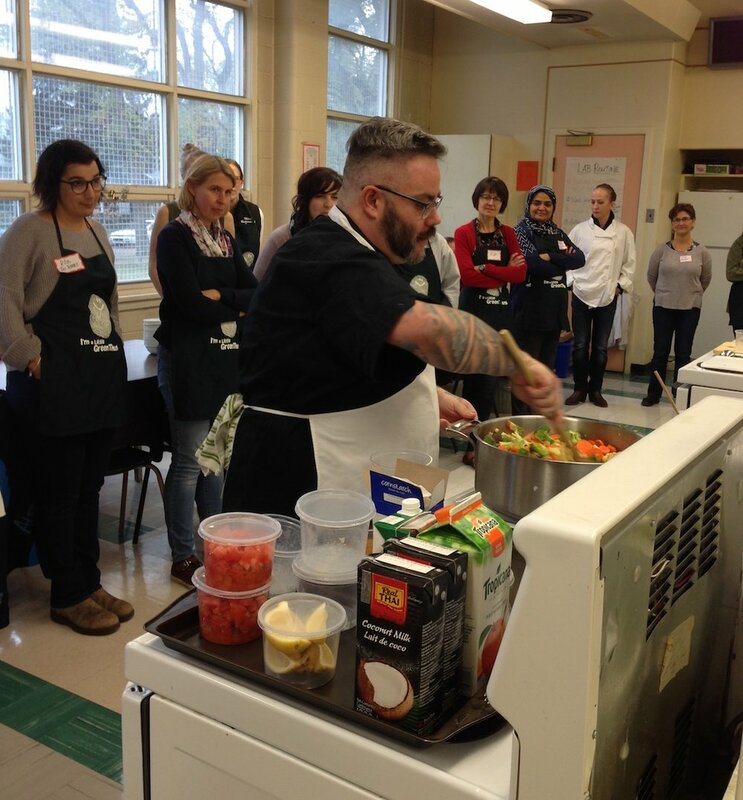 Many teachers experiment with various growing methods and find solutions when challenges come along. Sometimes a pest becomes an issue in indoor gardens. Eggs of aphids, fungus gnats, thrips or other pesky critters may hitch a ride with equipment, potting mix or houseplants. “We learned a lot more about biological pest controls. We had aphid problems and bought parasitic wasps and ladybugs to battle them. It worked really well. We had both insects complete their life cycles in the class and we observed the eggs, larvae etc."